Fishing off Herne Bay’s Neptune’s Arm. This coming Saturday a small Greenpeace fishing vessel will be putting in to Ramsgate. 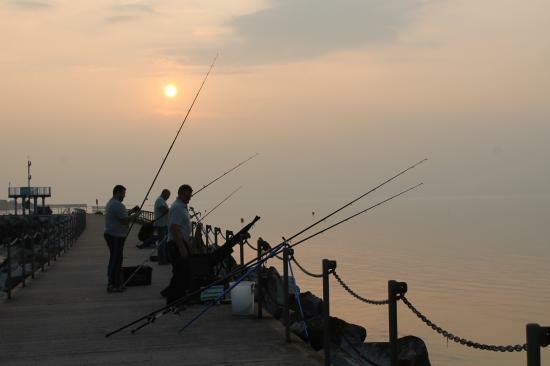 They are coming to highlight a really important issue that I also want to draw attention to in Herne Bay and Margate too – supporting local sustainable fishing. Greenpeace are using the boat to draw attention to their campaign for fair fishing quotas that benefit local, sustainable fishing communities, rather than huge, industrial trawlers—which the government continues to support, despite European changes to the Common Fisheries Policy (CFP). Greenpeace argues that the government is contravening European fishing law under the CFP, which was reformed in 2013 and now requires EU Member States to adopt criteria that prioritise quota for businesses that fish in an environmentally sustainable way and most contribute to national coastal economic and social wellbeing. Local, low impact fishermen should receive more quota because they fish more sustainably, have lower CO2 emissions and provide greater employment and job creation opportunities than the industrial scale fleet. You can still (on a good day!) catch bass, thornback rays, red and grey mullet, dogfish, smoothounds, mackerel, flounders, conger, herring, cod, dab, gurnard, plaice, monkfish, plaice, sole and whiting of the east Kent coast. But illegal overfishing and poor quota allocation destroy the marine environment and undermine the local fishing community. Signing Greenpeace’s petition calling for the government to put local sustainable fishermen first is a good start to putting things right. To find out more drop by Ramsgate on Saturday! 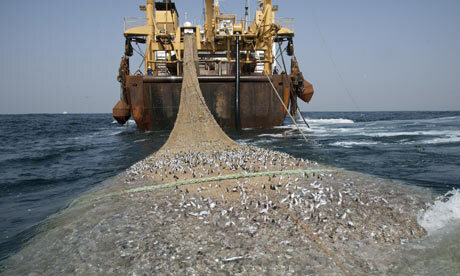 Huge trawlers: Deeply destructive; often working illegally.